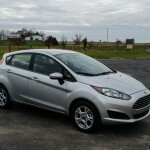 The modern Ford Fiesta has been a lovable little car from day one. I enjoyed it so much that I purchased one. 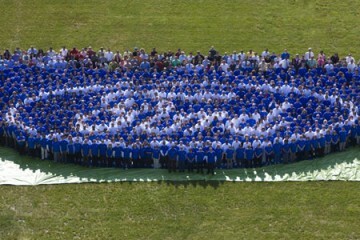 When the opportunity came along to test the 2014 model, I definitely was excited. I knew that Ford had made some positive changes to the vehicle, but what really surprised me is how much kit the Fiesta comes with at a much lower price point than what I paid for mine! 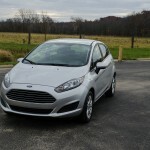 Our $17,135 tester was optioned almost perfectly for a vehicle like this, and I’m happy to report that none of the changes made to the ’14 version take away from what made the Fiesta lovable back in 2011. While silver on an overcast day might make the Fiesta appear dreary, believe me it is not. 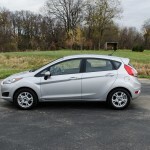 The Fiesta SE comes standard with a 5-speed manual transmission. There is an optional 6-speed automatic, but in a vehicle like this, the manual transmission really is the gearbox to go with. In fact, skipping the automatic can save enough money that the more expensive Titanium trim level is easily obtainable for the same coin. 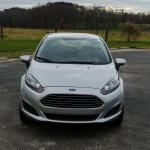 Over the course of the week with the Fiesta SE, I ended up nicknaming it the “Enthusiast’s Special.” While some enthusiasts will find a few of the options on this Fiesta useless, I believe it is built perfectly to give a buyer all the tech goodies they’ll actually care about, while saving money and avoiding the MyFord Touch system. 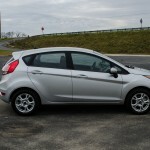 Our Fiesta tester had a manual transmission and skipped MyFord Touch. 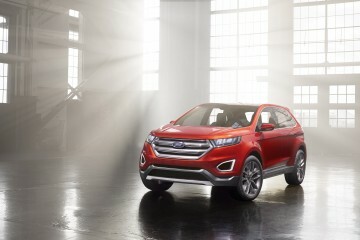 I like MyFord Touch, and I would order it on a vehicle. However there are people do not. The SE comes with Sync. 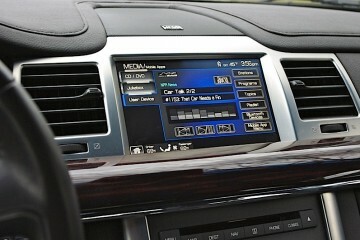 All interior lighting, including the center-mounted 4″ display, is now blue in color. Also, the 4″ display actually dims with the instrument cluster lighting. My 2011 does not do that. Automatic headlamps aren’t strictly necessary, but a welcome touch. 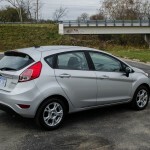 This particular Fiesta is equipped with the cold-weather package, which provides heated mirrors and seats. Heated mirrors are a must-have for anyone in cold climates, and if someone is looking at a Fiesta, the odds are less that they own a garage and park in a parking lot or on the street. Nobody likes taking an ice scraper to the rearview mirrors. 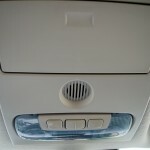 The heated seats are also nice in the winter, and can be had without leather interior. In an inexpensive vehicle, I tend to skip the leather. It is nice that heated seats can still be had without it. 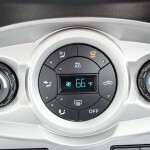 The automatic climate control on the Fiesta is a great addition. One other great creature comfort is fully-automatic temperature control. 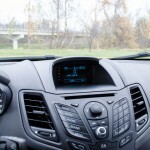 It is only a single-zone on the Fiesta, but being able to set a temperature and forget it is nice. I often find myself, especially in the Fiesta, fidgeting with the temperature dial between hot and cold because I cannot find a setting that is “just right.” With automatic climate control, I can set 68° and be perfectly happy. The Titanium trim level still appeals to me because it includes the push-button start and automatic dimming rearview mirror. 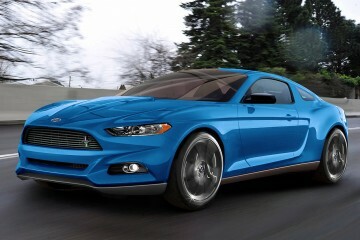 However, that also adds the before-mentioned MyFord Touch. I would try the system to see if you like it before making a final decision. As I mentioned, I would go for it, but if the point of a small car is to save some cash or if you do not like the system it would be okay to skip it. 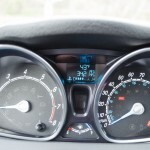 Rounding out the nice changes list, the 2014 Fiesta also includes a coolant temperature gauge in the instrument cluster. My 2011 does not have that, so I have no idea when the engine is warmed up enough to turn on the heater without freezing. 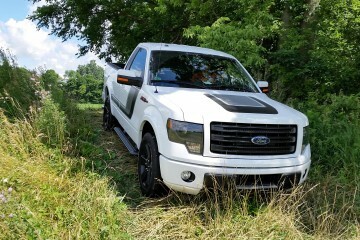 Yes, it has a warning light if it gets too hot, but that is it. Now there is a proper digital readout. The Fiesta finally has a coolant temperature gauge! The nice thing about the Fiesta is that it drives like a Fiesta. 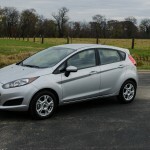 The Fiesta is often used as a benchmark for small car driving dynamics (the Mazda2 might be slightly better), and it is important to note that Ford has changed nothing in that department. The manual transmission means the vehicle is always in the right gear at the right time. It is a fun little car to toss around, and in city traffic it is small and nimble. It’s sometimes nice to be able to dive nose-first into a parking spot instead of having to mess around with parallel parking. 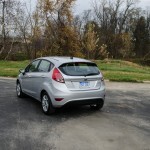 The manual-equipped Fiesta makes a fun car even more fun to drive. The other major demerit for the manual transmission is the gearing. Five gears is just unacceptable in a modern vehicle (automatic or manual), and I believe the Fiesta’s fuel economy suffers as a result. 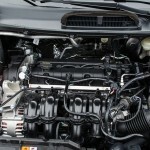 When driving 70mph down the motorway, the engine is spinning at over 3,000RPM. That is not ideal for the best fuel economy. 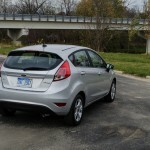 A manual-equipped Fiesta spins at quite a few RPMs while cruising down the highway. 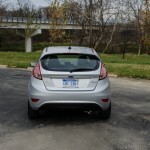 My Fiesta is an automatic-equipped vehicle (because I wanted more gears for better fuel economy), and I typically see 36mpg or better cruising at the same speed. Over the course of the week, my observed fuel economy was 32.9MPG. My observed fuel economy after a week of driving in a mixed-environment with the Fiesta manual. So should you get the manual transmission? YES! Definitely! 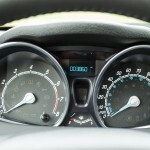 The fuel economy does suffer with the manual-equipped vehicle, but the automatic transmission is an expensive option on such an inexpensive vehicle that it may take awhile to make up that price difference in fuel economy. Also, the Fiesta feels much more alive in manual-transmission guise that mine ever has felt as an automatic. Features like “Hill Start Assist” make launching on a hill super simple (the vehicle applies the brakes until the car is moving so it doesn’t roll backwards). Would I like to see six gears in the normal Fiesta like in the ST version? 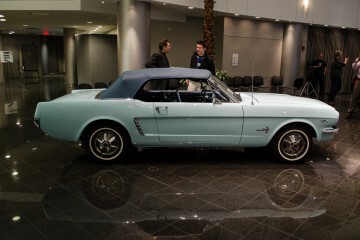 Yes, but buying this car without a manual transmission seems almost wrong. 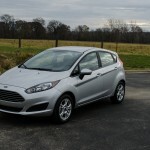 There are a lot of fantastic changes to the 2014 version of the Fiesta. Little things like a sunglasses holder and the redesigned 4″ screen area show that engineers really paid attention to the little things. It is almost like a Ford engineer got inside my head and fixed all the little things I did not like about the Fiesta for the new version. While I really like the changes in 2014, it is not a big enough change to get me out of my 2011. Subtle changes, like the addition of a glasses holder, are really nice upgrades on the new Fiesta. Can cheap be cheerful? 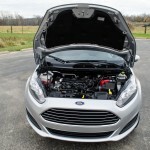 In the case of the Fiesta, the answer to that question has always been a resounding “Yes.” While European enthusiasts will lament the lack of projector headlights (Hey Ford, put them on the ST and Titanium please!) and a slightly modified suspension and gearing for the American market, the Fiesta is still the closest we can get to owning a European supermini. For many Americans, they would skip on the Fiesta because 120hp means that the vehicle cannot be that fast in a straight line, and it isn’t. But by no means is it not drivable, and makes up for the lack of power in other, more clever ways. 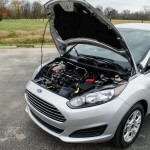 The 1.6L Ti-VCT engine in the Fiesta makes enough power and is efficient. The car handles exceptionally well, both on dry pavement and in the snow. 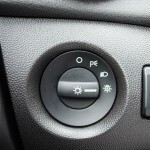 I wish they included a physical traction control button like they do on the ST, but the system can still be disabled by the car’s computer should the vehicle get stuck. Fuel economy is pretty decent, especially considering how fun the car is to drive. It also comes equipped with all of the options a normal person would want without any of the extra fluff. 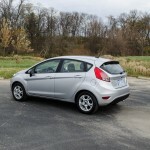 For many, the Fiesta should be a compelling option. But please, before heading to your local dealership remember a few things. Do not get the sedan. Get the hatchback. 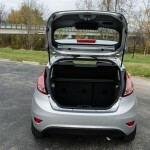 Yes, it costs more for the hatchback but it looks a lot better and the hatch provides more storage space. 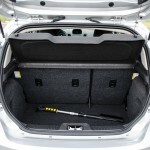 Decent space with the rear seats up converts to massive storage with them folded down. That’s something that can’t be done with the sedan. Also, find yourself a manual-equipped version. The automatic is a perfectly fine transmission, but if you want to have fun and save money, the manual is the only way to go. Stop by my house and I’ll teach you how to drive it if you don’t know how! The rear-seat room is acceptable for a supermini, but one nice change is the rear headrests fold down to improve visibility. The Fiesta is a car I would have no problems purchasing again. Now that I can get a lot of the features I have for less money, that makes the car an even better bargain. It has 7 airbags so it’s safe. It’s light and nimble and easy to park. 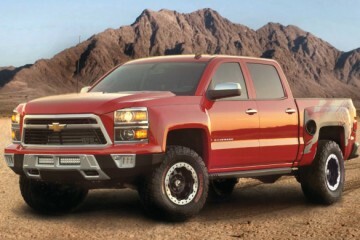 It would be a great car to send off to college with a freshman, or just a good all-around vehicle for the day-to-day. The proportions of the hatchback make it the logical version. I do not find it uncomfortable on long journeys, but I have been in more comfortable vehicles on long trips. If there was one downside, that would be it. But many people do not do that, so the Fiesta is probably the right vehicle for them. As long as they get the hatchback. 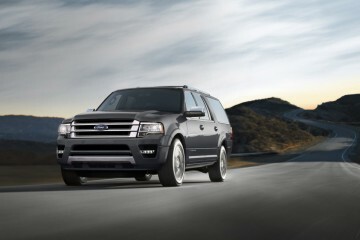 Note: Vehicle provided by the Ford Motor Company.